Prepare yourself for the biggest platform shoes ever! 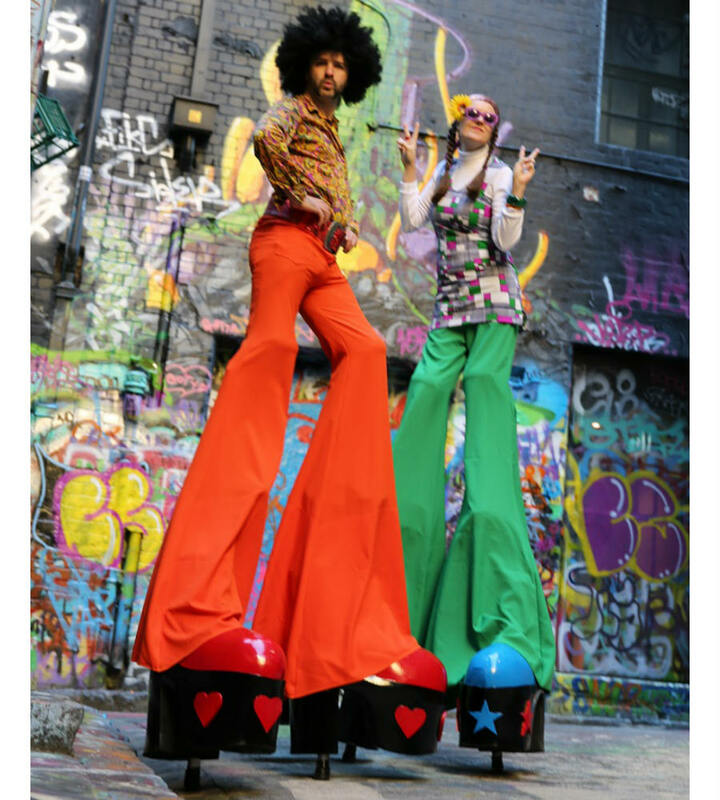 Striding atop 60cm platform shoes, the Funky Love Squad will bedazzle any event with psychedelic disco fever. They put the groove back in to groovy! Whether dancing through the crowd or mingling with people, these Melbourne stilt entertainers will add flare to any occasion. Loved by children and adults alike. The Funky Love Squad are perfect for vintage and music themed events. 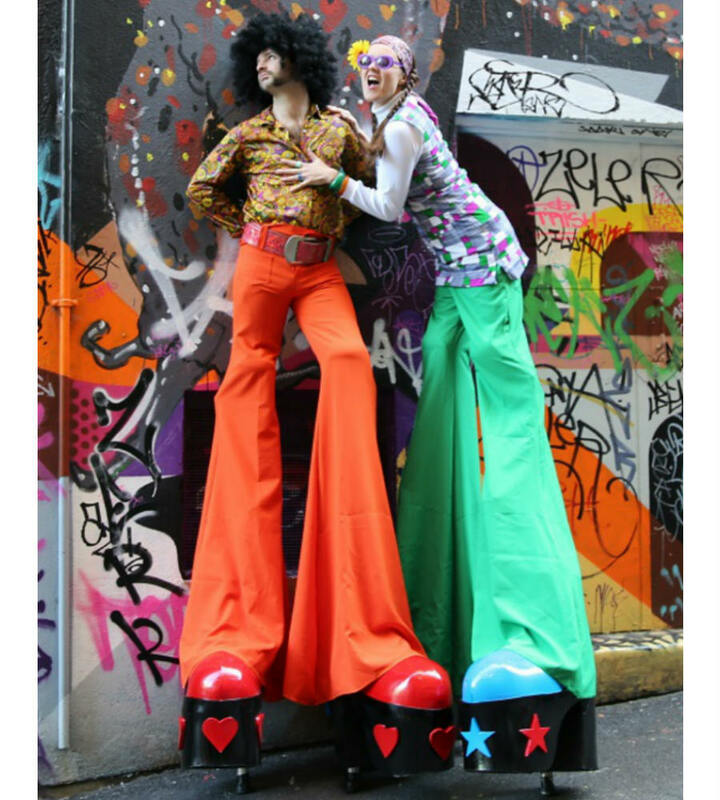 These Melbourne stilt walkers are fun, playful and highly interactive. The Funky Love Squad make a big impact wherever they go. 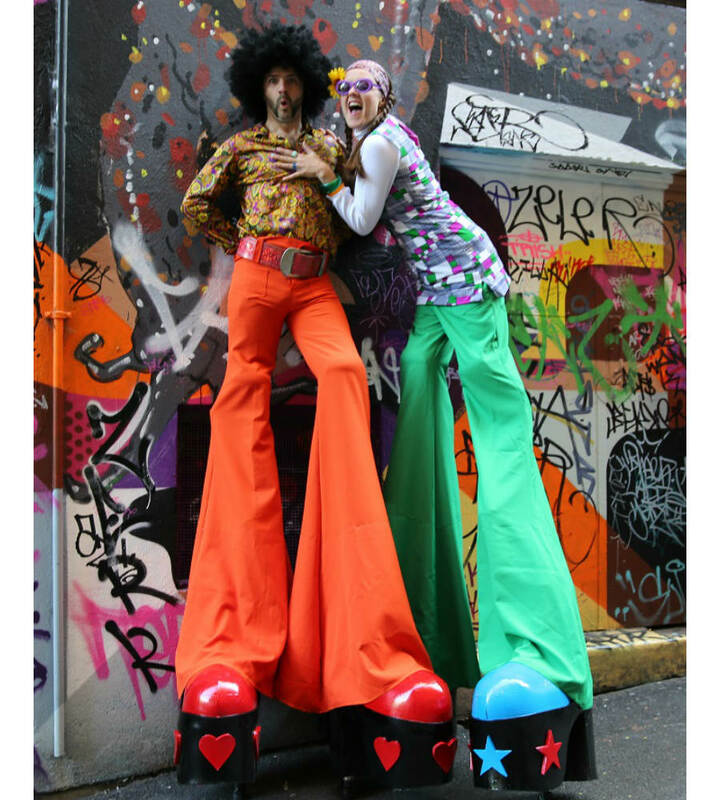 These Melbourne stilt walkers are also available in Sydney through our sister company Icarus Performance Troupe. The Funky Love Squad have appeared at a variety of events including Deakin University Burwood’s Orientation Week. 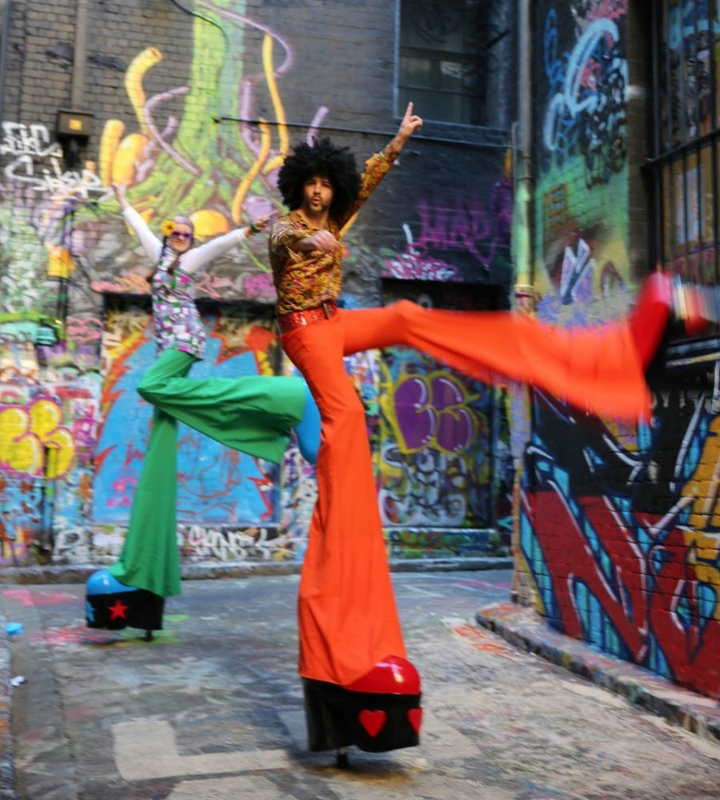 Melbourne’s Funky Love Squad team are available with up to a trio of stilt performers.